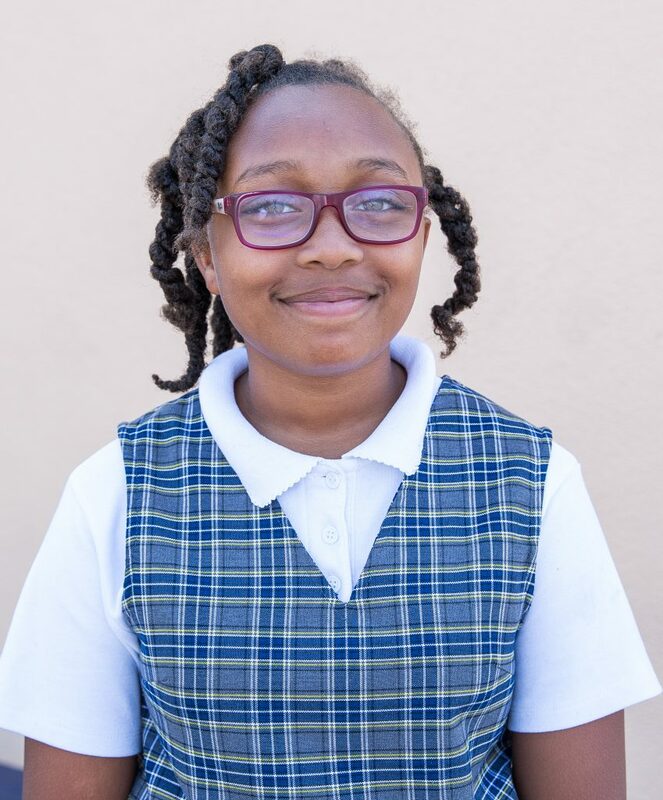 Nevaeh K. is a first year OP Scholar and is in the 4th grade at San Miguel Catholic School. She is settling into her new school nicely, excelling with a 3.86 GPA. Last semester, she participated in the Arts & Crafts: Market Series where she made her own soap and sold it at OP’s holiday party. Her commitment to her academics and her perfect programming attendance earns her February’s Scholar of the Month. In her spare time, Nevaeh likes to read and play soccer and football. Her favorite musician is Nicki Minaj.